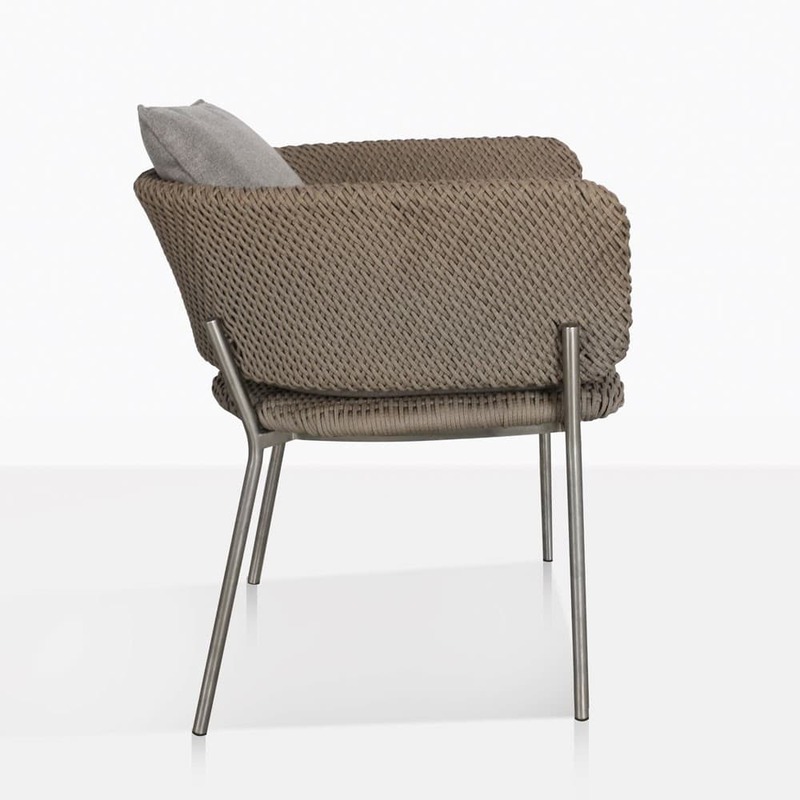 Your outdoor dining space can be just as stylish, chic and luxurious as your indoor dining room, and the Studio Cyprus Rope Dining Chair can accomplish that. These dining chairs have distinguished good looks and are impeccably constructed. 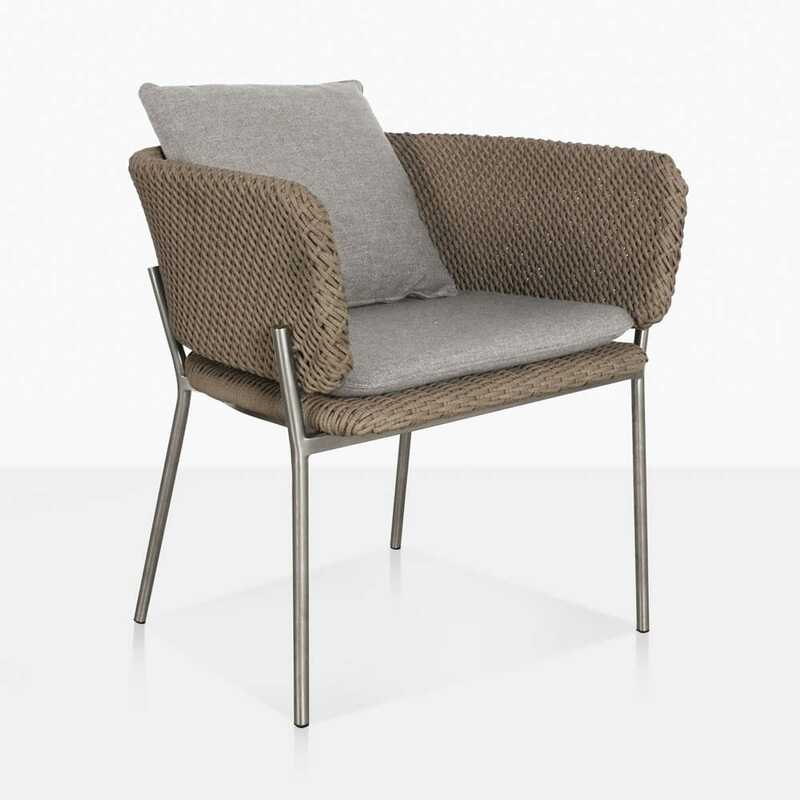 They are built with outdoor materials such as engineered rope, aluminum, and Sunbrella® fabric. 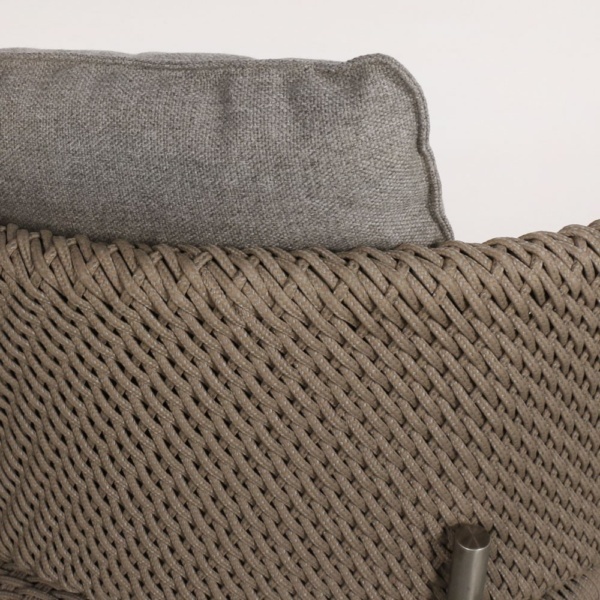 The beautifully woven rope seat, back and arms deserves a closer inspection, the weave is tight and absolute perfection. 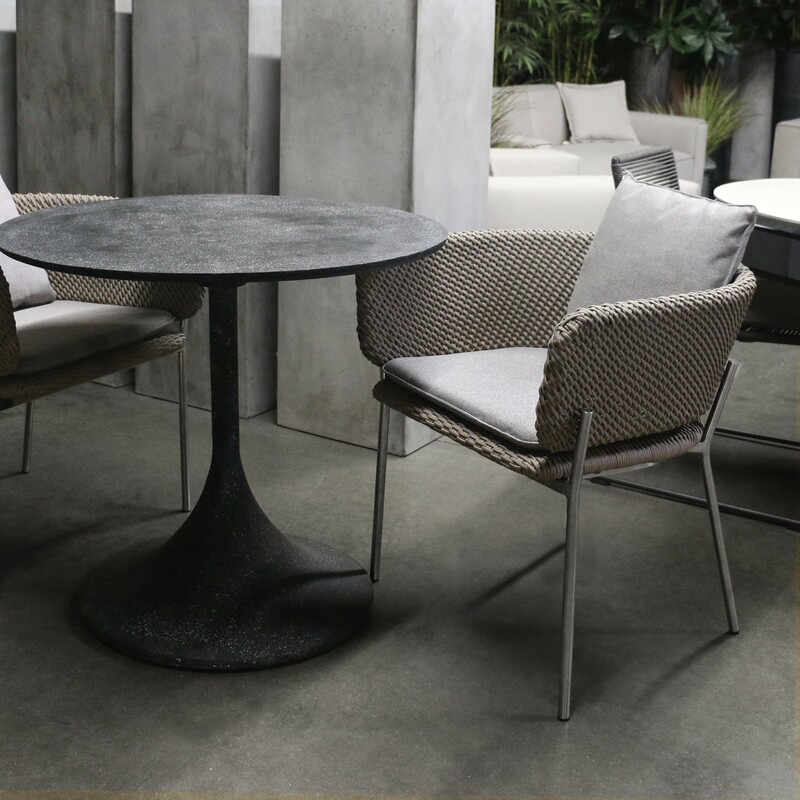 The warm colors of the taupe rope and light grey cushions allows this chair to be paired with many dining tables including our raw concrete, a-grade teak and aluminum dining tables. Call us to order yours now! Or visit our showroom in Parnell and try mixing and matching your favourite dining chairs with your favorite tables. At Design Warehouse it’s exciting to create your set and the possibilities are endless!